In July Brussels Airlines will launch four new African destinations: Accra (Ghana), Cotonou (Benin), Ouagadougou (Burkina Faso) and Lome (Togo). These additional destinations will be offered many times a week from Brussels Airport. The current connections to Abidjan (Ivory Coast) will also be increased. An additional Airbus A330 will join the Brussels Airlines fleet creating additional 110 staff positions within the company. The four new destinations are situated in West Africa and are completely new routes for Brussels Airlines. The routes will attract business from, VFR (visiting family and relatives), the business community, diplomatic services and the tourism industry. The flights to these new destinations will be operated with an Airbus A330, which will complete the long-haul fleet of Brussels Airlines. The first flight will be operated in the first week of July 2010. With this expansion, Brussels Airlines will operate 18 destinations on the African continent with its fleet of Airbus A330. On the West African coast, the airline will operate flights to 14 airports in 13 countries. Passengers can also benefit from Lufthansa services to Africa (Nigeria,Equatorial Guinea, Gabon, Sudan, Angola and South Africa). "As specialist in Africa, we continue our development based on our experience", explains Michel Meyfroidt and Bernard Gustin, Co-CEO’s of Brussels Airlines. "Africa is our second home and this new investment perfectly reflects that. The announcement of the launch of these 4 new destinations has been warmly welcomed. We want not only offer excellent connections between Ghana, Lome, Burkina Faso, Togo and Europe, but we want also to participate in the economic development of West Africa". Benin, Burkina Faso and Togo will also complete the large network of Star Alliance in the world. Brussels Airlines is also strengthening its presence in the dedicated African section of Brussels Airport, known as the « T » zone. Like the other African destinations, the frequencies of these new destinations will perfectly connect our European, North American, Asian and Middle East network. Due to the interest of the French market for these new destinations, Brussels Airlines will offer an additional daily flight between Paris CDG and Brussels as from the beginning of the summer season (28th of March). This second connection will ensure excellent transfer opportunities to the passengers traveling to Africa. The new four daily flights from London Heathrow also offer perfect connections to the African destinations via Brussels. On Monday morning, 15th of March, Egyptair's new B777-300ER made its first take off to London Heathrow. Captain Alaa Ashour, Egyptair Chairman and CEO, welcomed the customers flying on this flight and he accompanied them till the take off. The customers expressed their happiness for this state-of-the-art aircraft which is considered as a quantum leap in the history of Egyptair They expressed their admiration about the new Full Flat Beds, personal screens and the new lightening system provided on board. Its noteworthy that, this aircraft will operate daily service between Cairo and London Heathrow, while the second aircraft from the same type, which will fly to Tokyo, will be delivered by the end of April. 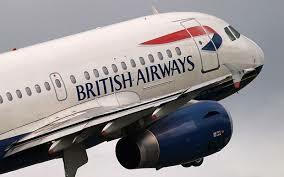 British Airways says it will increase the number of flights on its schedule during the three-day cabin crew strike, as the Unite union says it has received more support from global trade unions. BA had pledged to fly 60 per cent of its customers during this weekend's walk-out. The airline said more employees than expected had offered to stand-in for unite members who go on strike from Saturday in an increasingly acrimonious dispute over staffing levels. The airline said it would be offering to fly an extra 40,000 additional passengers, and offer more destinations. 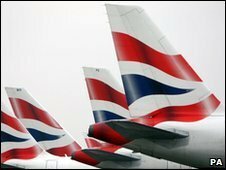 60 rival airlines have also offered seats or charter planes to help BA customers during the dispute. Willie Walsh, BA chief executive said: "The determination of our colleagues across the whole business to keep the flag flying this weekend is increasing." "Morale among our operation teams is high. Short-haul services from Heathrow had faced particular disruption during the walkout, with the airline saying it could only guarantee running 30 per cent of its schedule. Unite is believed to have secured more support for its stance from trade unions across the world. Channel 4 News has learned labour unions in Germany, Spain and France will ask their members to refuse to service BA flights or engage in so-called 'go-slows' when the airline's planes land abroad. Ingo Kronsfoth of Germany's Verdi Union, which represents nearly 30,000 workers in the aviation sector, said his members fully support Unite and are prepared to engage in a "solidarity strike" if asked by Unite. Unite has also received pledges of support from the Comisiones Obreras Union (CCOO) and the General Confederation of Labour (CGT) in France. The dispute was raised in the house of commons during prime minister's questions time. Conservative leader David Cameron said Labour had gone "back to the 1970s" in its approach to on union action. He said: "Lord Adonis (Transport Secretary) said it threatens the very existence of BA. When you were asked about it, you said, 'It's the wrong time'. "Can you tell us when is the right time for a strike that threatens the future of one of Britain's biggest employers and best companies?" But prime minister Gordon Brown accused Mr Cameron of "total opportunism" for trying to fuel the dispute, and he again called for BA and the union to reach a deal by negotiation. "My thoughts are with the customers of BA. My thoughts also are with those who depend for their jobs on the success of BA and our airlines," he said. "That's exactly why, at this particular point in time, I would like the sides to get together and discuss these issues." The Minister of Transport, Mr. Mike Hammah on Wednesday cut the sod for the commencement of the phase three of the Kotoka International Airport (KIA) development project, estimated at 51 million dollars. He noted that the construction of a new fire station which formed part of the project was expected to be completed by the end of the year. "The construction of a modern fire station will enable the airport achieve the International Civil Aviation Organisation (ICAO) recommended response time of not exceeding two minutes to the end of the operational runway in optimum visibility during an emergency," he said. Mr. Hammah observed that the rehabilitation of the KIA had improved upon the aviation industry in Ghana, adding that the number of airlines at the facility had increased as a result. He charged contractors on the project to do a "qualitative job that would ensure value for money". Mrs. Doreen Owusu Fianko, Managing Director of the Ghana Airports Company Ltd (GACL), said air traffic projections in Ghana indicated growth in aircraft movement from 15,225 in 2009 to 27,882 in 2024, with its accompanying passenger growth from 980,468 to 2,021,291 in that order, representing an average annual growth of 18 per cent. She said cargo would grow from 60,550 in 2009 to 130,170 tonnes in 2024, representing 47 per cent growth over the projected period. Mrs Owusu Fianko said against this back ground, it was necessary to continuously improve technical systems and infrastructure to match growth in the industry. Touching on an ultra modern fire station under construction as part of the phase three project, she said the GACL placed high premium on rescue and fire fighting service, as enjoined by the provision of Annex 14 to the Convention of ICAO to which Ghana was a signatory. The KIA phase three development project includes reconstruction of the taxiway pavements, apron pavements, installation of aeronautical ground lighting systems and fuel mains to the new aprons. The rest are construction of a new fire station as well as apron drainage facilities. The growing trends in credit card fraud have now hit KLM, the Royal Dutch Airlines, according to an intelligence report by the Holland-based investigative organization Ultrascan-AGI, forcing the airline to ban online and telephone sales of tickets to most destinations in Africa. The report which was sent to ghanabusinessnews.com also included a recorded telephone conversation between an Ultrascan investigator and KLM staff. We have listened to the recording but we are not permitted to publish. The fraudsters have hit KLM so hard leading to huge losses leaving the airline with no choice but to ban the sale of tickets to most destinations from and to Africa by phone and online. 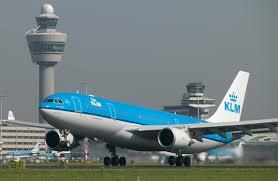 It is not clear when KLM placed the ban, but in the recorded conversation, the KLM staff is heard clearly telling the investigator that the airline was not allowing ticket sales by phone and online. Before then passengers could buy tickets using their credit cards online or by telephone. In the recording, the KLM staff told the investigator he would have to go to the airport to make payments with his credit card to purchase the ticket. According to the report, the crime has been traced mostly to Nigerian and Russian gangs. Ultrascan says its investigations traced the crime to Russian gangs who sell the credit card details or a fake hard copy to Nigerian gangs who then use these to purchase train or airline tickets. “During years of investigations into Nigerian fraud organizations, Ultrascan-AGI recorded that from 2008 these crime organisations have professionalised their sales of airline tickets which they buy with stolen credit card details,” it said. According to Ultrascan, they have contacted KLM Media Relations on three occasions before and after the recording was done but on all occasions they have denied that KLM was blocking online and telephone sales. Meanwhile, a report on the website tradingmarkets.com on March 8, 2010 says the Air France-KLM Group reported that it carried 4,779,000 passengers in February 2010, down 2.2% compared to the same month last year. Revenue passenger kilometres (traffic) for the month fell by 0.6% compared to February 2009, while available seat kilometres (capacity) dropped by 5.0%, resulting in an increase in load factor of 3.5 percentage points at 77.7%. Internal flight operator, Citylink says the safety concerns raised by an aviation audit that led to the suspension of its contract with two mining firms do not indict its safety records. Mining giants Goldfields Ghana and Newmont last week suspended their multi-million Ghana cedi contract with Citylink to fly their staff, logistical supplies and gold to and from their sites. This follows a safety audit conducted by independent aviation experts contracted by the two firms. The Citilink Managing Director Tei Azu however says the safety concerns are being exaggerated. Mr Azu tells Joy Business, the company has maintained an incident-free flight record since it started the first indigenous internal flight sixteen years ago. He said it will be unfair to indict the airline just because it failed an academic exercise. The Citylink boss said the company has been flying an average of 300 times a month without incident, implying it is a safe airline to travel with. According to him, the auditors who conducted the audit for Newmont and Goldfields were fresh employees and were yet to become abreast of the realities on the ground. “I fly the airline myself; if it were not safe I would not step in the aircraft…We were safe before we were audited by Newmont and Goldfields. We started flying in Ghana before we had contracts from them. We will continue flying with or without them and we will remain safe with or without them,” he said. Arik Air has appointed Mr. Robert Brunner as its Executive VP, USA with immediate effect. Mr. Brunner has worked in the airline and associated industries for over 30 years, predominately with British Airways USA where he was the Director of Regional Sales from 2001 – 2006 and Director of Business Travel Marketing from 1995 - 2001. In addition to spending over 20 years in New York, where he had regional responsibility for 18 States, five gateways and nine flights per day, Mr. Brunner relocated to London for three years where he helped to develop a new revenue accounting system for British Airways. He was a member of the Board of Directors Marketing Scholarship Fund and Treasurer and Board Member of the British American Business Council until taking up his position with Arik. Mr. Brunner takes over responsibility for the commercial running of Arik Air in the United States, including sales, marketing, finance and human resources. He will also oversee the operational team handling initially three flights a week at New York’s JFK airport. The airline operates direct services from New York to Lagos on Monday, Wednesday and Friday departing JFK Terminal 4 at 22.00 arriving in Lagos Murtala Muhammed Airport at 14.40. Inbound services from Lagos Murtala Muhammed Airport operate on Tuesday, Thursday and Sunday departing at 23.20 arriving in JFK at 05.50. Announcing the new appointment, Group CEO of Arik Air, Dr Michael Arumemi-Ikhide said: “Mr. Brunner is a highly experienced, senior airline industry professional. His impressive regional experience will allow him to bring valuable insight to this role, in what is a very important market for Arik Air. We are delighted to welcome him to the Arik family. Virgin Atlantic is scheduled to have its first flight direct from London Heathrow to Ghana on May 24. According to credible sources, on the approval of government, Virgin Atlantic has scheduled a three-services-a-week operation between Heathrow Airport and Accra. The carrier would be using a 240-seat Airbus A340 aircraft on the route, which would be Virgin's fifth to Africa. This implies Virgin Atlantic would be competing with British Airways which flies daily from London Heathrow to Accra as well as Ghana International Airlines which flies four-times weekly from London Gatwick. Virgin Atlantic is among a growing number of airlines who have expressed interest in working in Ghana. The Founder of Virgin Atlantic Group Richard Branson said he is likely to be on their first flight to Ghana which he describes as a beacon of success in Africa. He noted that “Ghana is a success in West Africa hence becoming more attractive to investors with more people traveling”. “The next time I come to Ghana, I’m hopeful I will board Virgin Atlantic which want to bring more competition to the Heathrow Airport”, he assured. The Virgin Atlantic Chief executive Steve Ridgway has been also been quoted “they are delighted to be launching their services to Ghana’s fast-growing and vibrant city with its historic links to Britain, a thriving economy and a growing oil and gas industry”.